Easter Hours: Deanie’s Seafood Restaurant ,11 a.m.-3 p.m.; Seafood Market 9 a.m.-3 p.m.
Our original location has been in Bucktown–a fishing village along Lake Pontchartrain just west of New Orleans–for more than 50 years. 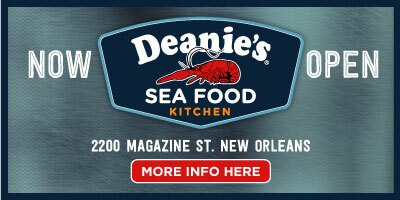 Deanie’s has remained true to its Bucktown roots by serving the finest local seafood prepared in the authentic New Orleans culinary tradition. Open 11 a.m. – 9 p.m. Sunday – Thursday, 11 a.m. – 10 p.m. Friday and Saturday. Our guests have the option of dining in our restaurant or carrying home the catch of the day along with many delicious prepared dishes. 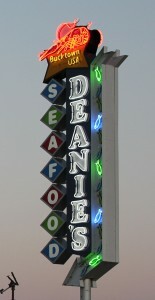 Deanie’s in Bucktown is the home of the first seafood market in this historic fishing community. 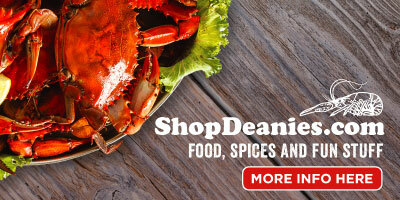 Today, Deanie’s operates Deanie’s Seafood Market as well as its online store shopdeanies.com, shipping delicious fresh and boiled Louisiana seafood to customers throughout the United States. 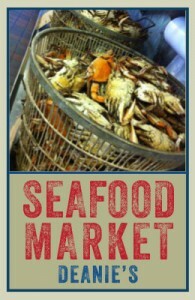 To contact Deanie’s Seafood Market directly, call 504-835-4638. 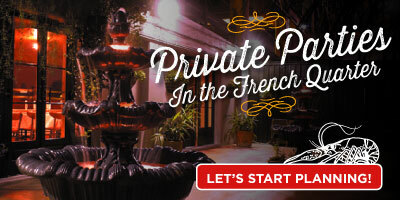 * Please call Special Events Coordinator Chandra Chifici at 504-834-1225 or email her at chandra@deanies.com to make arrangements for special or group parties. *We accept all major credit cards except Discover.